Mount Pleasant High School serves 1,108 students in grades 9-12. The percentage of students achieving proficiency in Math is 42% (which is lower than the Delaware state average of 43%) for the 2015-16 school year. The percentage of students achieving proficiency in Reading/Language Arts is 65% (which is higher than the Delaware state average of 55%) for the 2015-16 school year. Mount Pleasant High School placed in the top 50% of all schools in Delaware for overall test scores (math proficiency is top 50%, and reading proficiency is top 30%) for the 2015-16 school year. The student:teacher ratio of 15:1 is equal to the Delaware state level of 15:1. 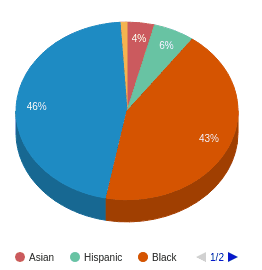 Minority enrollment is 54% of the student body (majority Black), which is equal to the Delaware state average of 54%. Mount Pleasant High School's student population of 1,108 students has grown by 7% over five school years. The teacher population of 76 teachers has stayed relatively flat over five school years. Mount Pleasant High School is ranked within the top 50% of all 200 schools in Delaware (based off of combined Math and Reading proficiency testing data) for the 2015-16 school year. 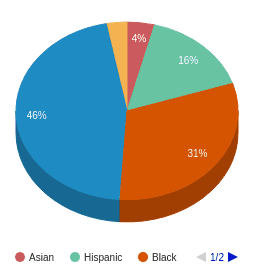 The diversity score of Mount Pleasant High School is 0.60, which is more than the diversity score at state average of 0.53. 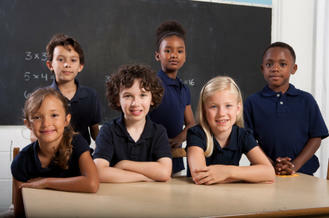 The school's diversity has stayed relatively flat over five school years. Mt. Pleasant is one of the best schools that my child has been in , they are very resourceful , caring, and the staff enjoy going to work , my child and i speak very highly of Mt.Pleasant. This school will be recommended to other people that lives in the area. Mt.Pleasant we thank you from the bottom of our hearts for all of yalls hard work that was put in to helping my child.